Do you ever wish you just had more money? I want to show you how one of my favorite things—journaling!—can get you there. You might have the head knowledge, the income and even a monthly budget—but you still feel like a hamster on a wheel, running as hard and fast as you can but not getting ahead. The reality is, you can’t outearn bad spending habits. So hear this, friend: The best way to have more money is to have contentment. People who have contentment . . .
Don’t spend as much money, because they don’t feel the pressure to keep up with a certain standard of lifestyle they can’t afford. Put fancy date nights on pause while they’re getting out of debt, because debt-free dates taste so much better! Can break the cycle of living paycheck to paycheck, because they don’t have to spend money just to feel good. Contentment is the inner determination to be happy and fulfilled wherever you are, with whatever you have. But contentment isn’t a place you get to financially—when you finally have “enough” money in your bank account or the brand of car you always wanted. It’s deeper than that. It’s a place you get to emotionally and spiritually. Contentment is the inner determination to be happy and fulfilled wherever you are, with whatever you have. The Apostle Paul put it like this: “. . . I have learned how to be content with whatever I have. I know how to live on almost nothing or with everything . . .” (Philippians 4:11–12 NLT). So, how do you work toward a life of contentment? I’m not saying content people just accept things as they are, but they do believe good things are possible because they can recognize the good things God has already done in their lives. I believe it starts with a habit of gratitude. The thing that’s helped me the most with being grateful for what I already have is journaling. Journaling is powerful. All by ourselves, with a pen and paper—in the midst of uncertainty and the unknown—we grow. Every morning, I write down two things I’m grateful for. Over the years, I’ve filled dozens of journals, and I love going back through them to remind myself of all the incredible things God has put in my life. At the end of a long day, especially if it’s been stressful or I’m worried about something, I’ll pull out an old journal and thumb through it. Taking the time to think through the blessings in my life changes my whole outlook! Journaling has helped me love my life more than I ever thought possible, and gratitude has had an amazing effect in all areas of my life—including my financial, physical and emotional well-being. And this isn’t just my opinion. . .
Study after study by researchers from the American Psychological Association back up that your relationships, health, decision-making skills, kindness and even sleep can get better with gratitude. You guys. Less stress, better sleep and healthier relationships! Are you convinced yet? 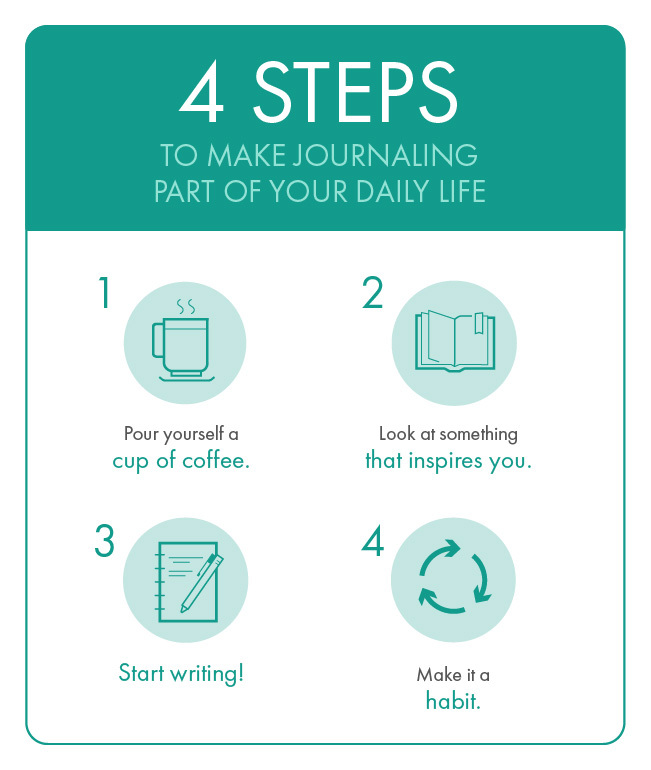 Making journaling a habit will pay off in so many different ways. Trust me, it’s worth it. Check out my new Contentment Journal for free! Thanks! Your information was submitted successfully. Or if you don’t drink coffee, have a cup of tea, or eat something. This step is all about waking up your metabolism so you can focus better. Look at something that inspires you. Read your Bible, look at pictures of your loved ones, or find inspirational quotes from your favorite author. This is just to get your brain going and put you in an inspired mental state. You can write down just two things like I do, or you can do more. Point is, don’t think too hard—you don’t have to be profound. These are meant to be real, heartfelt notes of thanksgiving. I actually created something exciting to help with this part: The Contentment Journal. It’s a guided journal with prompts to help you capture the moments that matter most to you. Journaling is just like exercising a muscle: The more you do it, the easier it will become. When you work gratefulness into your daily life, you begin to see the world a different way. The key is to continue writing in your journal every day, even when it’s hard. For 90 days, I want you to try this. Focus on the blessings you have, but also focus on the future and write out your thoughts. Consider what you can do as an individual to move beyond complacency and into creating a life you love. 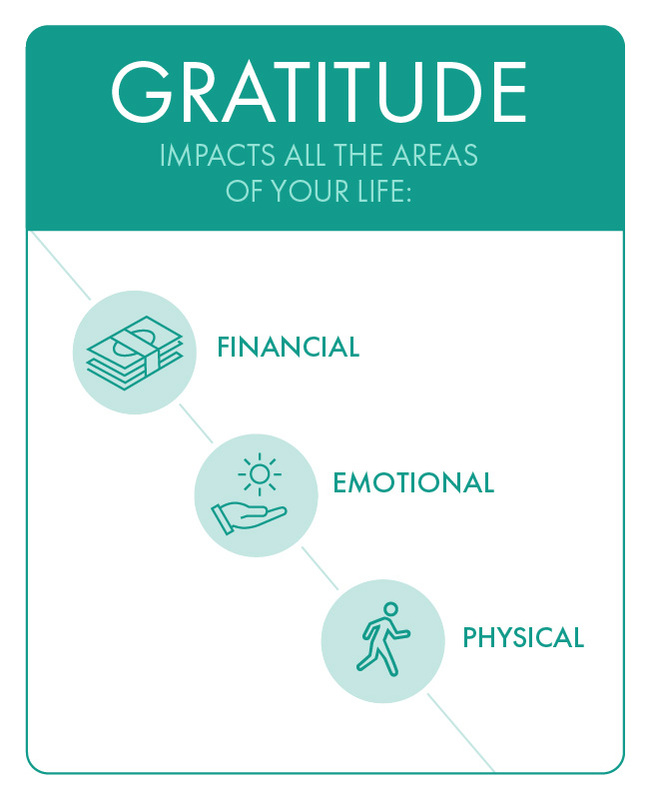 Journaling your gratitude causes you to fix your thoughts on what really matters. At the end of the 90 days, I believe you’ll feel more in tune with yourself, with others, and with God. And yes, I bet you’ll even have more money. Content people don’t always have the best of everything, but they make the best of everything. So don’t wait. 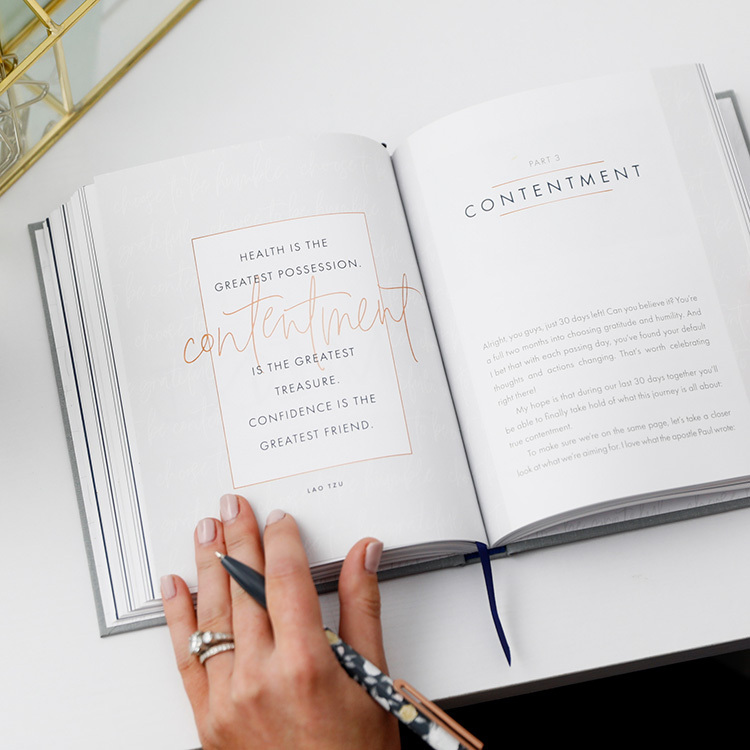 The Contentment Journal is a simple, 90-day plan that makes it easy to point out the things in your life that bring you joy. Together, we’ll work toward living a life of contentment—one where we can actually be happy with ourselves, happy with our lives, and happy for others, without spending a dime. Start reading The Contentment Journal for free!